1st, theres a easy method to try and make an older program run in XP. 1. Find the program.exe and right click on it. 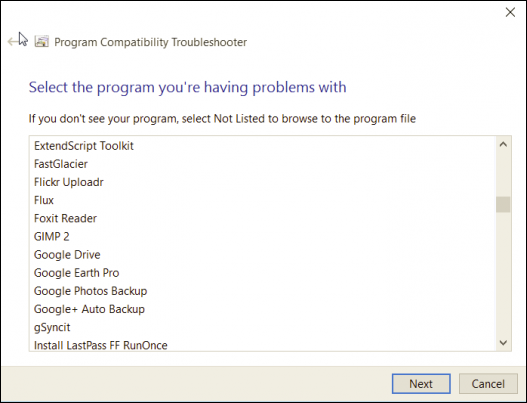 Run the Program Compatibility Wizard. 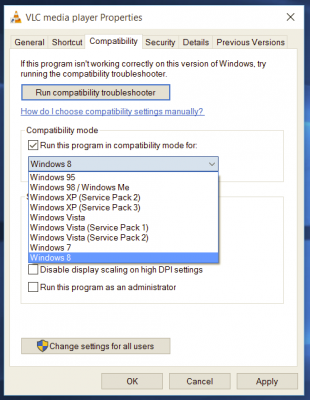 As an alternative, you can set the compatibility properties manually. Update your program, drivers, or hardware. These options are covered in detail below. This wizard prompts you to test your program in different modes (environments) and with various settings. For example, if the program was originally designed to run on Windows 95, set the compatibility mode to Windows 95 and try running your program again. If successful, the program will start in that mode each time. The wizard also allows you to try different settings, such as switching the display to 256 colors and the screen resolution to 640 x 480 pixels. 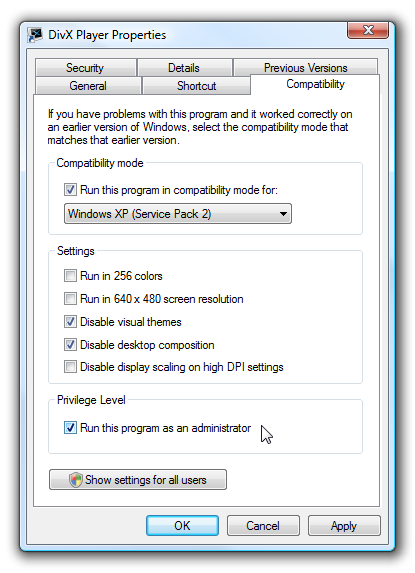 If compatibility problems prevent you from installing a program on Windows XP, run the Program Compatibility Wizard on the setup file for the program. The file may be called Setup.exe or something similar, and is probably located on the Installation disc for the program. Start the Program Compatibility Wizard. 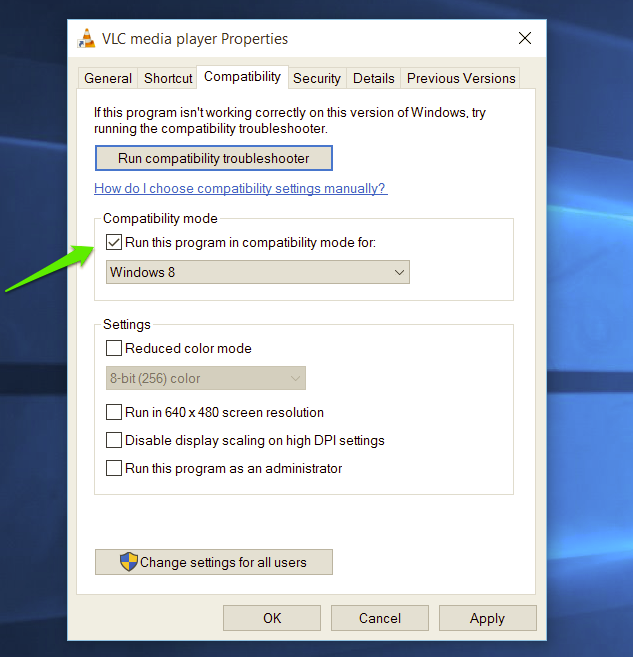 To start the Program Compatibility Wizard, click Start, click Help and Support, click Find compatible hardware and software for Windows XP, and then, under See Also in the navigation pane, click Program Compatibility Wizard. 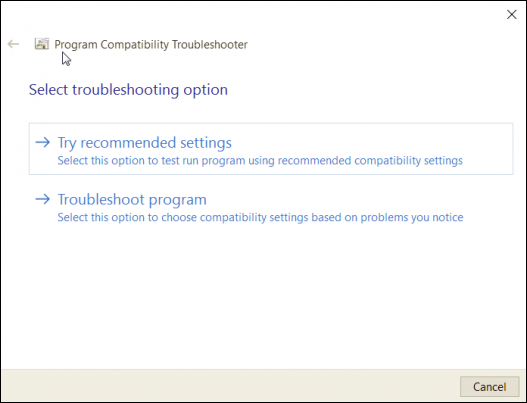 As an alternative to running the Program Compatibility Wizard, you can set the compatibility properties for a program manually. 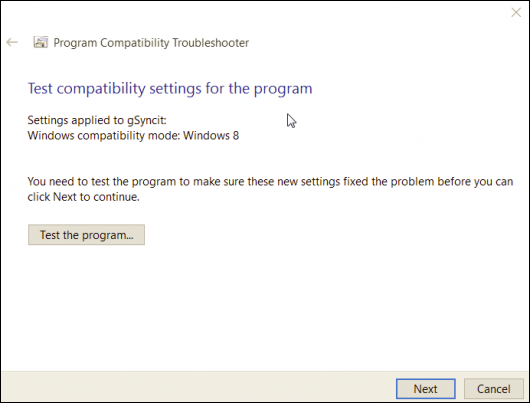 The settings are the same as the options in the Program Compatibility Wizard. 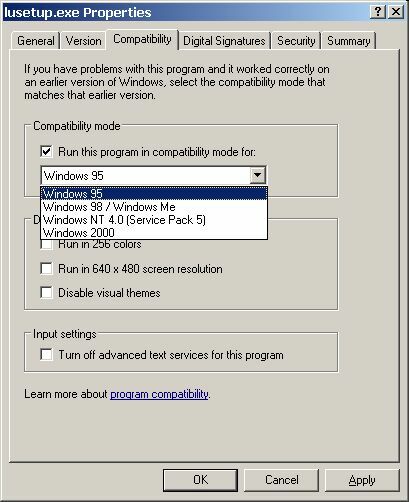 The Compatibility tab is only available for programs installed on your hard drive. Although you can run the Program Compatibility Wizard on programs or setup files on a CD-ROM or floppy disk, your changes will not remain in effect after you close the program. 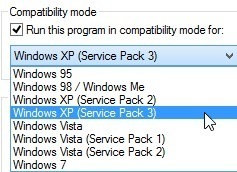 For more information about an option on the Compatibility tab, right-click the option and then click What's This. Check the Web site of the program's manufacturer to see if an update or patch is available. 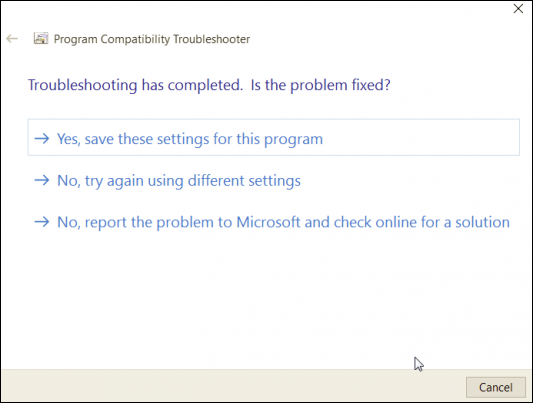 Check Windows Update to see if a fix is available for the program. Click Home on the menu bar of Help and Support Center, then click Windows Update in the right pane. If the program is a game that uses DirectX, ensure that you are using the latest version of DirectX. In addition, check the Web site of the manufacturer of your video card or sound card to see if newer drivers are available for either of them. 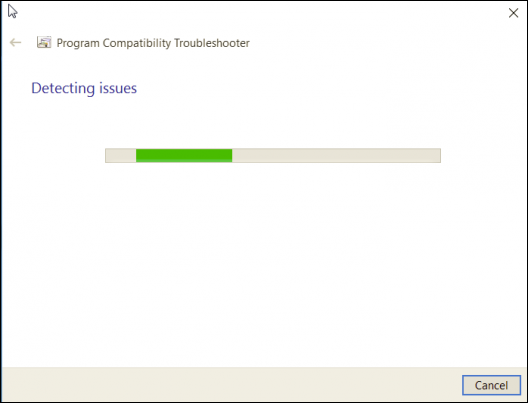 To configure the compatibility mode for an application, just locate the installation directory and right click on the .exe, selecting Properties from the menu. You can choose to run the program in Windows XP compatibility mode, or even all the way back to Windows 95 compatibility. Probably the most useful setting to start off with would be to disable the visual themes and desktop composition, if you can’t get things working. If you are trying to run a video game, you will often need to choose “Run this program as an administrator”. You’ll have to play around with it, but most likely you can get your application working this way. ADMINISTRATOR RIGHTS IN WINDOWS VISTA / WINDOWS 7 If you are running Windows Vista or Windows 7, make sure you install and run the program as an Administrator. 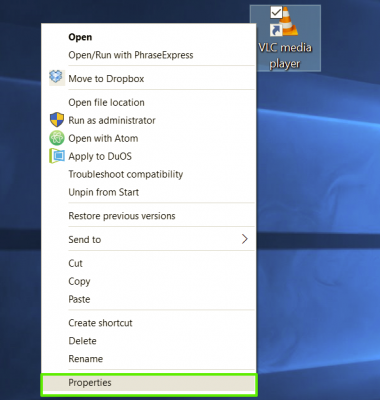 To do this, right click on the install or run icon and choose RUN AS AN ADMINISTRATOR. 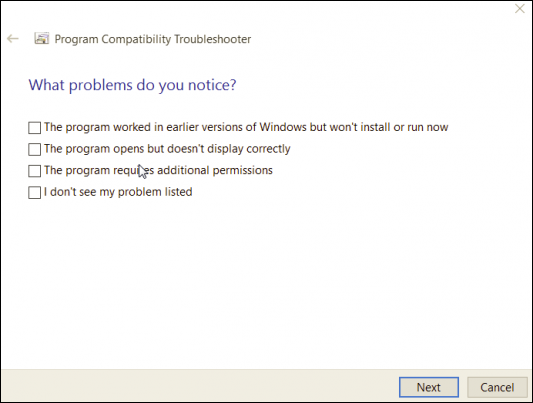 As with other versions of Windows prior to Windows 8, you can run a program in compatibility mode in order to run older programs that were written for older versions of Windows in Windows 8. 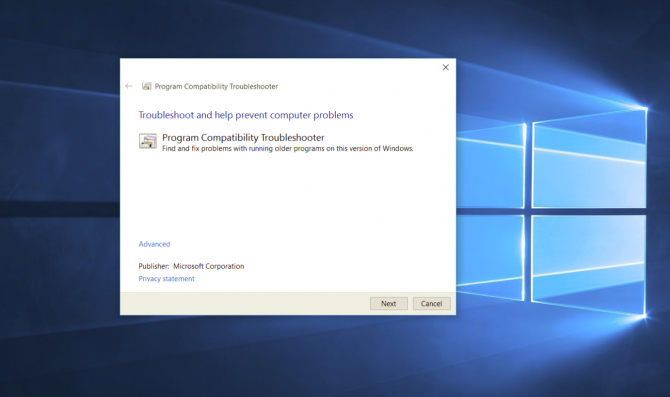 In Windows 8, there is also a new tool called the Compatibility Troubleshooter, which walks you through getting an older program to run properly in Windows 8. To get started, you need to right-click on the EXE file and choose Properties. If you have installed a program, it will either be located in C:\Program Files, C:\Program Files (x86) or inside the AppData folder. 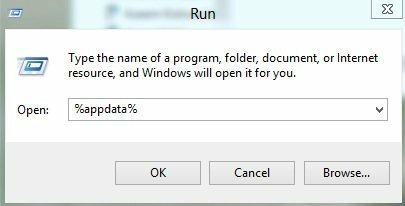 You can get to the AppData folder by opening the Run dialog and typing in %appdata%. 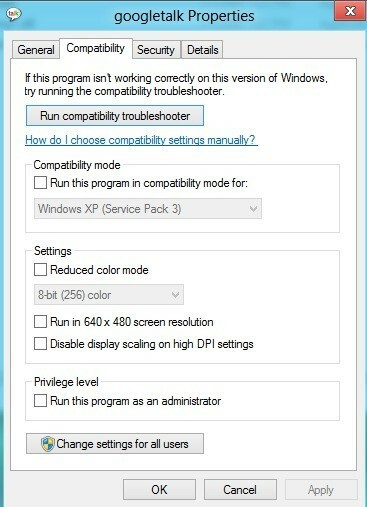 Under Settings, you can choose to run the program in reduced color mode, run in a 640×480 low resolution or to disable scaling. Under Privilege, you can also have the program run as administrator in case it’s having permissions issues. You can always use this technique to always run a program in administrator mode. 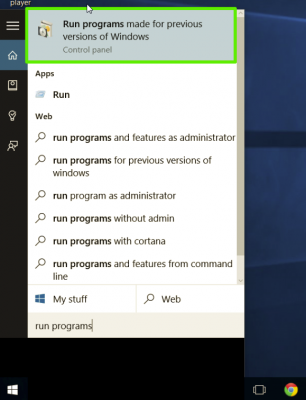 Basically, the first option will let you choose a different version of Windows, the second option will change the display settings, and the third option will run the program as Administrator. If you select I don’t see my problem listed, it will as you which version of Windows it worked on before. If you click I don’t know here, then you’ll get a list of exact error messages. 1. In the taskbar search box, enter run programs, then click "Run programs made for previous versions of Windows." To run DOS games you need a program called DOSBox. Many publishers put updates (typically called 'patches') to correct bugs & enhance performance. To find these, go to Google.com & type in the software name, then the word patch or update (ie. "Half Life" patch). If any issues arise during your software's performance or installation, these will usually solve most, if not all, of them. We do our best to reply within 24 hours or less! Thank you for allowing us the chance to help you! Buyers now have the option to easily contact us! Make sure you tell us the program name, your operating system, and where you bought it!